I hope everyone enjoyed the holidays! It was nice having time off to catch up with my friends and family, but it didn't leave me a lot of time for crocheting. A lot of unfinished projects sitting around that I promise to complete soon! I'm not looking forward to going back to work, especially since it is freezing here in California! Maybe not freezing, but a lot colder than I'm used to for winter. Chunky beanies are adorable, and they keep you really really warm! 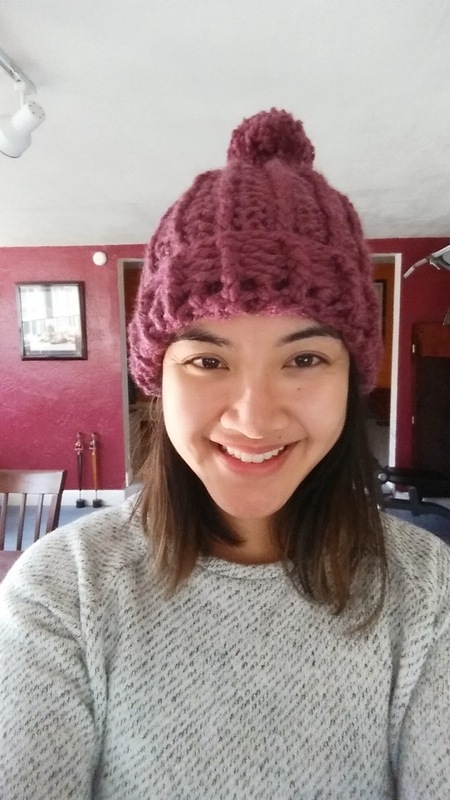 This ribbed beanie is super easy to make, and is a great project for a beginner to try out. 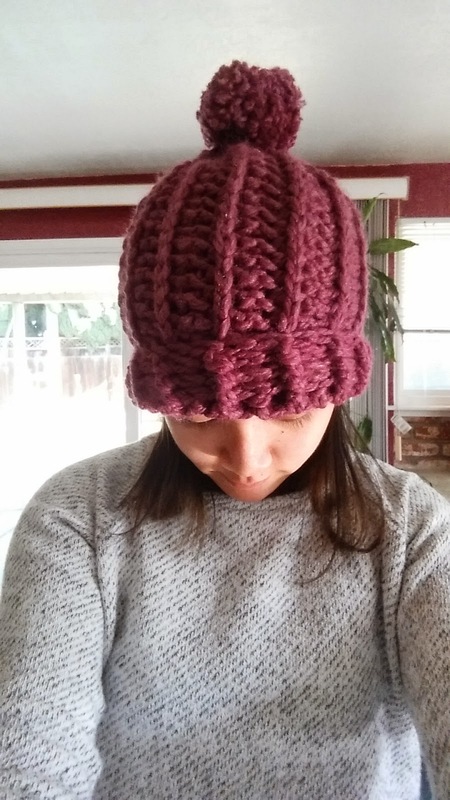 I made it with chunky yarn, but this beanie can be made with any weight yarn for a different look. This pattern is worked in rows and will be seamed together at the end. Ch 1 and turn at the end of each row. Starting from second ch from hook, hdc in 18 ch, skipping the last 5 . Hdc in each of the next 18 st.
To create the ribbing, make the hdc in the one loop below the normal two loops you would normally make it in. This is a unique ribbing that's different than crocheting in the back loop, and can only be done with hdc. See my Boot Cuffs pattern for pictures on how to do this stitch. You will be making the rest of the hdc stitches in this fashion. Hdc in each of the next 23 st, including the 5 skipped from Row 1. Note: When working the hdc in the 5 skipped chains for Row 3, you will make the hdc normally as there is no single loop for you to create the ribbing effect. After Row 3, you will be able to make the hdc in that single loop below the normal ones to make the ribbing. Skipping the last 5 stitches every other row helps the beanie taper at one end. Hdc in each of the next 23 st, including the ones skipped from Row 3. Repeat Rows 4-7 until the piece fits around your head, ending on Row 7. Do not fasten off. Fold the piece in half and sl st the ends together. I made the sl st in the back loop of last row and the front loop of the first row. Fasten off leaving a tail for sewing up the top. You should be at the narrow end. Weave the tapestry needle around the top of the beanie and pull it tight to close it. If you still have a little hole left, sew it shut. 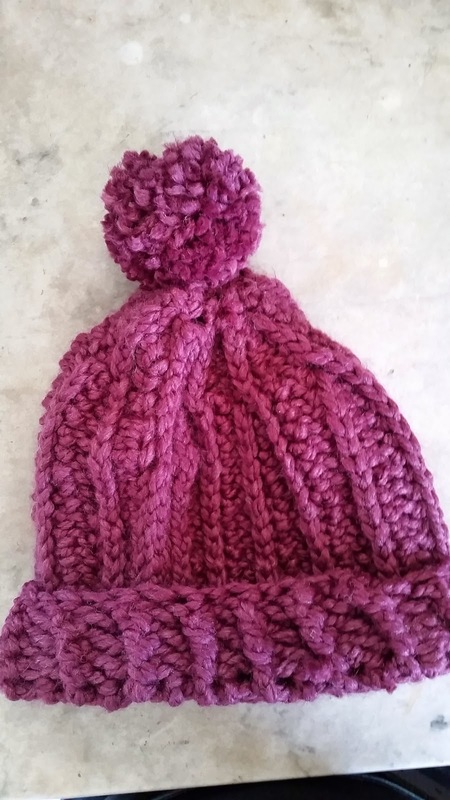 Attach yarn with a sl st to the end of the beanie. We will now be working in rounds. Ch 2 (does not count as dc). Dc evenly around the beanie. Join with a sl st in the first dc, not the ch 2. Ch 2. *Fpdc around next dc. Bpdc around next dc. * Repeat from * to * around. Join with a sl st in the first dc, not the ch 2. If you ended Round 2 with a fpdc, then ch 2 and fpdc around the first fpdc. Bpdc around the next bpdc. If you ended Round 2 with a bpdc, then ch 2 and bpdc around the first bpdc. Fpdc around the next fpdc. Repeat this around, joining with a sl st in the first fpdc/bpdc, not the ch 2. Fasten off and weave in any tails. I used my large Clover pom pom maker. If you are making poms poms for beanies, or even decoration, you should definitely invest in one of these. They are really easy to use and make perfect pom poms every time. If you don't have one, you can use this tutorial to make a pom pom. 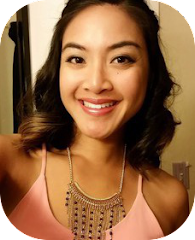 She has clear pictures that you can follow with the written instructions. Now sew the pom pom to the top of the beanie, and you're done! Thank you for sharing, I love this pattern. it’s easy to follow and the stitch pattern is awesome.